And Another Thing...: Need a little holiday cheer? Need a little holiday cheer? Kurt Beattie as Ebeneezer Scrooge in ACT's "A Christmas Carol"
Thanksgiving arrives this week, and along with the turkey and carbo-overload, get ready for more holiday-themed art than you can digest. 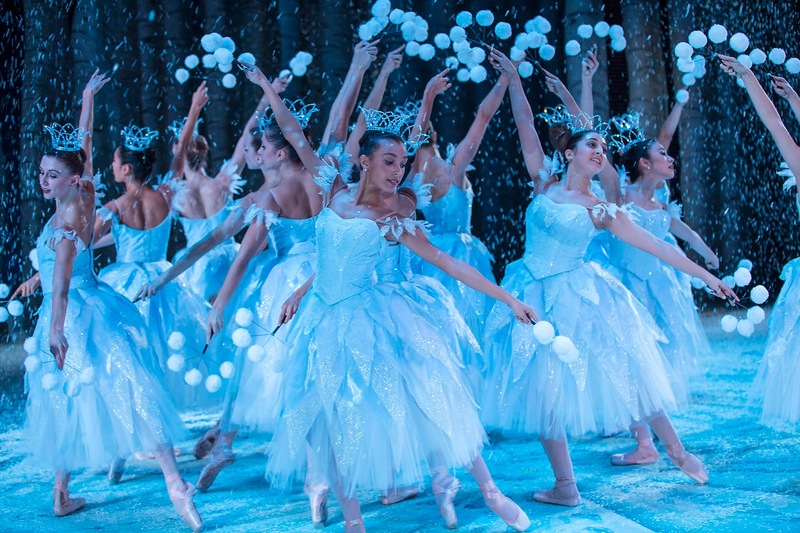 Seattle's biggest productions: "ACT's 'A Christmas Carol," and "The Nutcracker" at Pacific Northwest Ballet, will draw the usual large crowds hungry for tradition and a little holiday cheer. 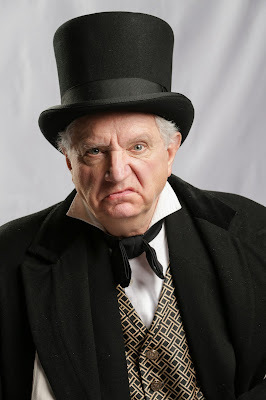 No matter how many times I see Charles Dickens' tale about the spiritual conversion of Ebeneezer Scrooge, I always leave the theater full of hope that virtue trumps petty greed and hate every time. I'm in need of that reminder this year. Across town from ACT, PNB presents the second edition of its new production of "George Balanchine's 'The Nutcracker.'" (Yes, that's the official title, including a trademark!). The show is lavish, sweet, and the opening video is great. I'm partial to the snowflake tiaras, part of designer Ian Falconer's colorful, fanciful vision for this classic ballet. Nutcrackers of all genres abound every year; I counted more than 15 versions in the central Puget Sound region. No doubt I overlooked one or two. If you're restless for something slightly different, you might want to check out "Land of the Sweets: The Burlesque Nutcracker," presented at Seattle's Triple Door by Lily Verlaine and Jasper McCann. 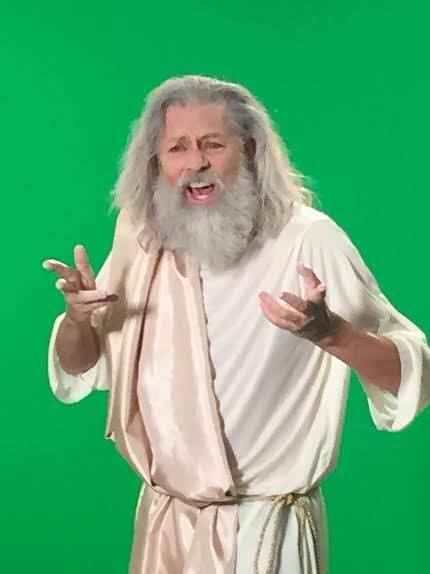 Who wouldn't want to see Wade Madsen in the role of God in "Buttcracker?" 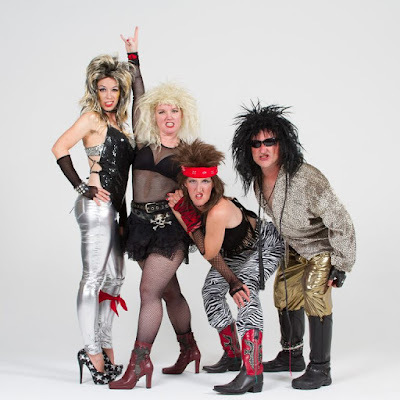 The folks who brought you the original Buttrock Suites have their own twisted take on Nutcracker; Diana Cardiff, Sara Jinks and their pals have created "Buttcracker," featuring the music of a bevy of 80's and 90's rockers. This mashup of tutus and Journey is most definitely NOT PG, so leave your children at home. Or, get them tickets to the strictly sweet PNB version of the holiday classic. Finally, seeing as it's Thanksgiving week, I want to give some public thanks for all the artists in this community and beyond. Your courage and vision bring me solace when I grieve, laughter when I weep, and beauty in these uncertain times. Much love and happy holidays to you all. Good post, i too like to enjoy the days of my holidays in the best possible way this is the fascinating post which i like the most in all the manner.